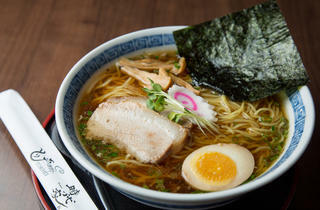 This tiny South Bay ramen shop seems to fill up almost the second it opens its doors for lunch. 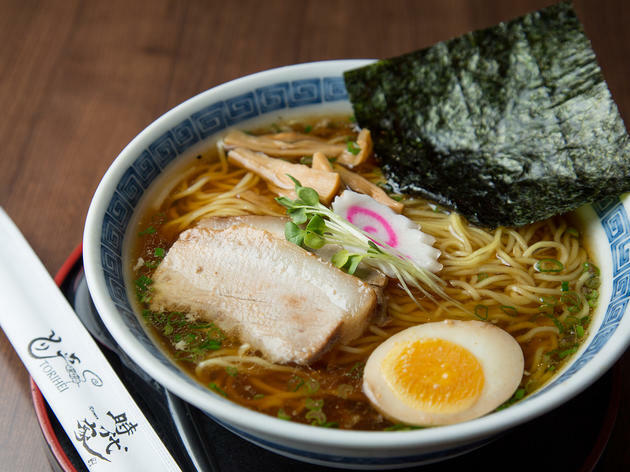 While you can’t go wrong with any of the offerings here, we recommend the excellent shoyu ramen, soy sauce-based broth served with thick, heavy noodles. Try adding a little fresh garlic for some zing—if you’re feeling particularly DIY, ask for a garlic press, so you can mash your own clove of garlic. Add a side of the U.F.O. Gyoza, half a dozen dumplings pan-fried together to create one massive, standout plate. Ramen was ok, nothing special. We can't eat pork and asked if we could substitute pork for anything else (eg, an extra egg), we were told "no" and told not to ask again. This was disappointing as pork was the main "topping" on all the ramen, and an extra egg did not seem to be an unreasonable replacement. This would be fine too, except for the restaurant policy which says that the restaurant is operated on a flexible policy and will do "anything in their power to understand a customer's needs". Why have a policy like that if the staff will do the exact opposite? Staff were rude and paying $9 for ramen with nothing in the bowl was a ripoff and we would not recommend his restaurant.